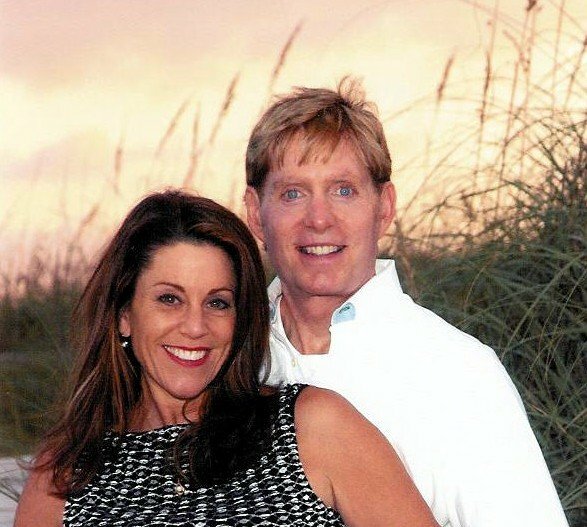 St. Augustine Beach Mayor RICHARD BURTT O'BRIEN and his wife LAUREN RINGHAVER are millionaire hoteliers. Registered Republicans. Denying health insurance to their "part-time" hotel employees, but taking it for themselves from taxpayers? Yes Millionaire Mayor RICHARD BURTT O'BRIEN and his wife LAUREN RINGHAVER went directly on the City of St. Augustine Beach's health insurance upon a vote taken May 1, 2017 by St. Augustine Beach City Commission after the item was listed only for "DISCUSSION" by longtime City Manager BRUCE "MAX" ROYLE. Without vetting, without adequate public notice, without prudential limitations on an effective date, the Commissioners' health insurance proposal was approved unanimously. Every single one of the Commissioners is a registered Republican, and every single one responded to an emotional appeal at the beginning f the meeting by St. Johns County Republican Executive Committee member Dr. Michel S. Pawlowski, D.Sci., who happens to be the father of Vice Mayor Undine Celeste Pawlowski George. Vice Mayor George and her husband, former Mayor Edward George, both signed up for health care, too. So did Commissioner Maggie Kostka. Commissioner S. Gary Snodgrass is not taking health insurance. No word on Commissioner Margaret England. The unanimous vote for health insurance by five (5) registered Republican Commissioners in St. Augustine Beach was bad optics and bad timing, not just bad procedure. It was actually the same week that 24 million Americans were notified they could lose their health insurance by House of Representatives vote. Previous City Commissions took at least six months to dither and come to an indecision on other issues. Like a herd of turtles, St. Augustine Beach Commissioners were never in a rush about anything before. Under St. Augustine City Manager BRUCE "MAX" ROYLE's Reign of Error, is up down, wrong right, right wrong and only one man in St. Augustine Beach wears a crown? There was no time for Commissioners' comments in the January, February, March and April 2017 meetings, whose packed agendas ROYLE wrote, exhausting Commissioners with too much time devoted to blathering presentations and too little to listening to people, investigating mismanagement and making decisions. ROYLE's agenda-writing deprived new Commissioner Maggie Kostka of the ability to speak her mind until May. Wonder why? And what did ROYLE say in private to the three Commissioners just before the January 2017 meeting? Is ROYLE a serial recidivist Sunshine violator who gets away with it? In recent months, Mayor O'BRIEN and fellow Commissioners typically fail to follow up on citizen concerns, omitted from the minutes of meetings. Unlike the prior practice under Mayor S. Gary Snodgrass, there are no mandatory answers by the City Manager to citizen questions in public comment. There's contempt.